Vaikunta Ekadasi is an important festival dedicated to Bhagvan Srihari Vishnu in the Tamil month of Margazhi (December-January). Vaikunta Ekadasi festival is of great significance at the Tirupati Balaji Temple, Srirangam Sri Ranganatha Temple and at the Bhadrachalam Temple. In Kerala, it is known as Swargavathil Ekadashi. Next Vaikunta Ekadasi date is January 6, 2020. In United States, Vaikunta Ekadasi is on January 6, 2020. In Australia, it is on January 6, 2020. The ‘Vaikunta Dwaram’ or ‘the gate to the heaven’ is opened on this day. This is the passage encircling the innermost sanctum of the Lord. Scores of devotees queue up to pass through the Gate of Vaikunta in Vishnu Temples in Tamil Nadu, Kerala, Karnataka, Andhra Pradesh and Telangana. Vaikunta Dwaram is opened only on this day in a year in many temples. In Kerala this Ekadasi is known as Swargavathil Ekadasi. This Ekadasi is also referred as Mukkoti Ekadasi. The day after the Ekadasi is observed as Mukkoti Dwadashi in many Vishnu temple across South India. 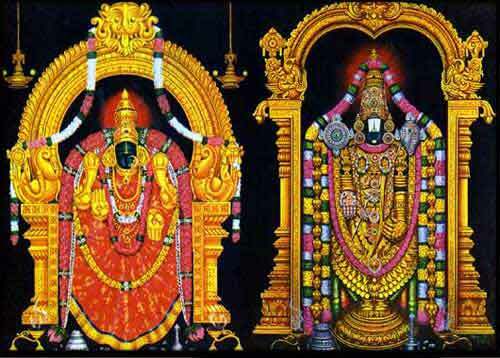 Vaikunta Ekadasi is of immense importance at Srirangam Ranganathaswamy Temple, Tirumala Tirupati Balaji Temple, Bhadrachalam Temple etc.